The Phenom II (computer in the middle) joins my rack finally! 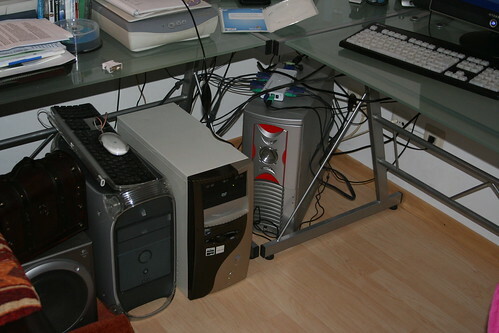 First I thought I can use the Medion P4 PC-case that I got from a colleague but it turned out to be a Micro ATX format. 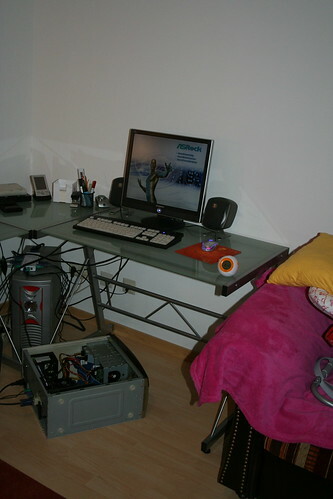 So I took the ATX-PC-case of an old Athlon XP 2000+ that we used for watching TV (BTW: Not our primarly TV set 😉 ) and placed the new hardware in it that I bought recently. I’m still setting up the new AMD Phenom II machine but what I can tell now is that it’s really silent (not like the Athlon 2600+ that is on the right on the upper photo – the Athlon is hell of noisy) and yea, the Phenom II has a 3.5″ Floppy drive FTW! IMHO a real PC needs to have a floppy drive! 😀 The G4 Mac on the left has no Floppy drive for example – what a shame. 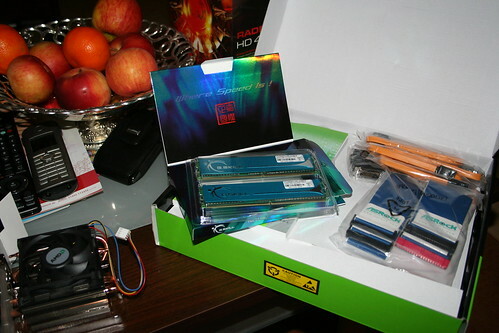 Finally I ordered the parts for my new PC! 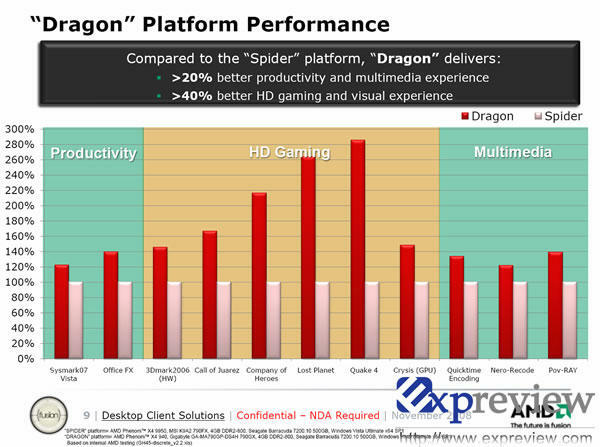 A very reasonable configuration – best value IMHO – based on the AMD Dragon platform. I’m going to put them in the case of an old Medion P4 that I got from a colleague. Will post more soon! Ok, I mean it’s great… but ridiculous. I want to see real overclocking all-time-records with liquid cooling but not with liquid nitrogen! Yea, like anyone would run his PC for 5 minutes cooled with liquid nitrogen. 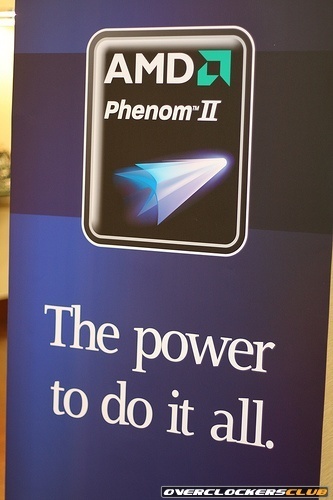 Phenom II launch – but when? I want to get a Phenom II AMD CPU. Rumors say it will be available in early January (the 8th as some sources mention) but that seems to be either a silent launch or an announcement date. Maybe this will be just a launch of the 125W AM2+ model for upgraders? Not sure… I want to get a new mainboard and memory for it so I guess for me it makes to most sense to wait for the DDR3 mainboards (that are not available yet) but on the other hand I don’t want to wait so long. Humm… 😀 the German PC Games Hardware guys seem to have a test-CPU already. In the January issue they published some useful information (like AM2+ mainboard compatiblity) but no benchmarks yet, I hope they will publish some nice benchmarks February. 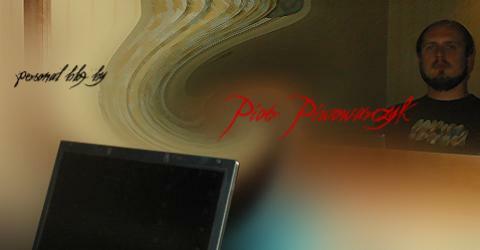 AMD Phenom II – The power to do it all. I think I’m going to wait till Q1 with getting new hardware then. The Dragon platform looks really promising! I hope the prices for the new next generation AMD platform will look reasonable too.